BookBrowse interviews An interview with Sharon Lucas of The Reading Divas about all aspects of their book club. 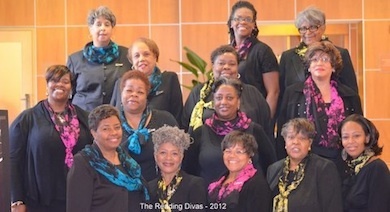 The Reading Divas is a seventeen member, all-women book club based in Bowie, Maryland. Sharon Lucas, the founding member and President of the club, shares the reasons for The Reading Divas' local focus and how that has grown into a yearly community event. Can you begin by introducing yourself and letting us know how The Reading Divas got started? My name is Sharon Lucas and I am the founding member and President of the Reading Divas Book Club. In 1998 I realized I needed an outlet, a way to have “me time” outside of home and work, and a book club seemed the perfect outlet. I was motivated by Oprah’s Book Club and Terri McMillan’s book How Stella Got Her Groove Back, both of which were hot at the time! It was a simple beginning: I chose a book, decided on a date, invited a few friends to my home, asked them to bring a friend; and we’re still meeting and having fun almost 15 awesome years later! Currently we have 17 members. We’ve had as many as 18 and as few as 10, but this seems to be the ideal number for us. It ensures that we usually have enough members present at meetings to have a good discussion, and because we usually meet only 10 months out of the year - in October we hold our annual literary event and in December we have a holiday celebration – 7 members each year get the year off from hosting. We do not confine our reads to any particular genre or race though we primarily read works written by African American authors. We enjoy suspense, mysteries, romance, sci-fi, autobiographies and more; we do not read religious or self-help books – that members must do on their own. We meet monthly and the member hostess for the month chooses the book and moderates the meeting. We meet at each other’s homes on Sundays and though we “say” you don’t have to prepare food, members always serve a meal. In the true tradition of women in a group situation, our “book discussions” often go very far afield but the camaraderie and sharing more than compensates when we stray away from the book. We bear our souls and learn from each other, especially in times of crisis. Oh, your meetings sound warm and wonderful - are your actual book discussions as uplifting and connecting as your "far afield" discussions?! We often laugh about the fact that it is the book we like the least that elicits the most passion and discussion. We use reading guides, if they are available, but have become adept at creating our own as well. Over the years, the club has read more than 150 books and our reading tastes have broadened and matured. Three of the most memorable books we’ve read are Left to Tell – Discovering God Amidst the Rwandan Holocaust by Immaculee Ilibagiza, Before I Forget by Leonard Pitts, Jr., and Perfect Peace by Dr. Daniel Black. The one book that simply bombed was Burn Down the Ground by Kambri Crews. The member who chose this book was looking for information about deafness because she had been told her child might have a hearing disability; she thought this book might give her insight into the deaf world. It didn’t! The lesson we learned was that it’s important to read a book before recommending it as a book club read. Lately we’ve enjoyed works by several local emerging authors such as Cerece Rennie Murphy (Order of the Seers) and Madeline Nowlin (Watermelon Road). Our next read is Raging Blue by Renee Flagler. What other unique ideas have The Reading Divas come up with? In 2008, we decided to hold an event to celebrate our 10th anniversary; we didn’t want to just host a dinner or a dance, but rather we wanted to create an event that would bring avid readers and authors together. What we eventually came up with took us to a new level because it allowed us to meet and step up our support of African American authors and, eventually, of other book clubs. With the emergence of e-readers and self-publishing, there are so many authors surfacing each day. We realized we would never be able to read all of these new works, but certainly we could spotlight a well-known author and introduce some of our local emerging authors to avid readers in the DMV (DC/MD/VA area) while serving them brunch! This year we will host our sixth annual literary event, now called The Black Authors & Readers Rock Weekend. I'll take that as a "yes"! In 2012, in addition to an author expo and brunch, we held a Friday Reception, Saturday panel discussions, a “Best Dressed Book Club Contest” and shook up the audience by encouraging everyone to hit the floor and do the “Wobble” just before the luncheon began. We have fun! Norwood Holland, wrote in The Examiner.com, “The authors and guest book club members frequently expressed how valuable they found the event praising The Reading Divas. Many are looking forward to next year, expecting it to be bigger and better”. Our 2013 weekend (October 18-19), begins with the Friday reception titled “An Evening With Men In Literature”, which will feature Leonard Pitts, Jr., Solomon Jones, Norwood Holland, Harold Fisher, and Austin Camacho. The awesome attorney/author Pamela Samuels-Young will moderate. Saturday morning will open with Zumba Gold and meditation classes and four panel discussions – led by authors and book club presidents. The Author Expo is sold out, we have 30 authors and other vendors on board; the luncheon speakers are the incomparable writing duo – ReShonda Tate-Billingsley and Victoria Christopher-Murray. We look forward to increasing the 2012 high of 250 attendees to 300! As is evidenced by our growth and repeat attendees, this event is one that the writing and reading communities look forward to and support each year. But I was faced this year with the cold, hard fact that though I love the entire process of putting on this event – planning, negotiating, selling tickets, etc. - everyone does not. In other words, several members were tired, especially of having to sell tickets. This realization forced me to take a long, hard look at both the club and the event and immediately I knew that I loved both and that I didn’t want to sacrifice one for the other. After much deliberation, I announced to the club members that I would assume full responsibility for marketing the event; club dues would not be used to finance it; and selling tickets would no longer be considered mandatory. Quite a leap of faith and I knew I had to “step up my game” to make it happen. Starting in early January, I began a networking campaign. I became a “force” on Facebook; I entered discussions, made comments and took advantage of every opportunity to tell people about The Black Authors & Readers Rock Weekend. 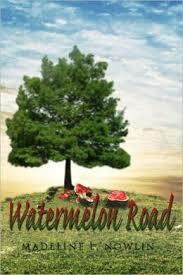 I started a Consortium Group for local book clubs to meet and share information. I asked other book clubs if I could attend their meetings. I began a blog at www.realdivasread.com. I was asked to become a staff member and contribute articles to Book Club 101 Magazine. For the first time, I attended Book Expo America with a group of veteran attendees and I mingled. I knew my tactics were working when I was contacted and asked to present a workshop for the local library system during National Library Week and then when I was selected to host two author discussions at the Baltimore Urban Book Festival. You really got yourself out there. And it seems like once you did, and people learned about you, The Reading Divas and your Rock Weekend, they were enthusiastic about all of it. I also decided to attend the National Book Club Conference this year (NBCC) and when I read that NBCC Founder, Curtis Bunn, was soliciting essays from book club members on why their book club was important to them, I submitted an essay for which I was recognized during the Conference. I was invited by Mr. Bunn to be a member of the panel session “Maximizing Your Book Club Experience” which attracted book club members and avid readers from across the country. The networking continues! 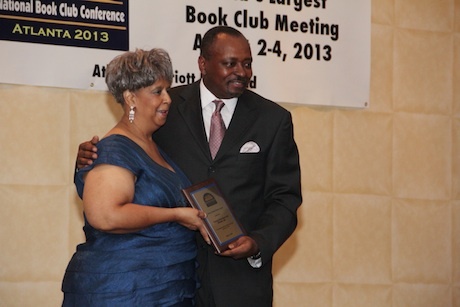 Ella Curry, a local publicist, named The Reading Divas one of the Top 25 literary supporters in the industry for 2013 in her Black Pearls Magazine; and last week I was notified that the club has been nominated, in the “Best Book Club of the Year” category, by the African American Literary Awards Show (AALAS). Sharon, all of this is so exciting! And exhausting, I bet. How do you stay energized for all that you do? Hosting The Black Authors & Readers Rock Weekend is important to me because I know that readers are thirsty for well-written books and writers are in need of reader support now that so many of the brick and mortar stores have closed. This event and similar events have become important marketing and distribution channels in our communities. There's that Reading Local theme again, don't you think? But really you are doing more than urging folks to read local authors – you are creating a vibrant local community of authors and readers; of folks who love books and realize their value as entertainment, education, enlightenment and connection. I am deeply inspired by your vision. And the work you have put into it, my goodness! While attending NBCC 2013, I remembered that it was during this event six years ago that I began to dream that The Reading Divas could contribute to our community by hosting a similar event. As I networked at NBCC this year, I realized that I miss the most important aspect of the Authors & Readers Rock Weekend. Because I’m busy coordinating the event, I can’t always network and enjoy the camaraderie that the event evokes and, though people tell me that’s what they love about the event, it took being an active participant at NBCC to see and appreciate the dynamics that occur when readers are able to network with other avid readers, to share experiences, and learn new techniques to make their clubs more interesting and to run them more efficiently. And I'll bet the authors have the same kind of appreciation. Yes, the authors are able to hear first-hand what readers like and don’t like. They become more human to their readers. It also makes the readers feel good when they see writers networking and helping each other and vice versa. You must have some advice for other book clubs, Sharon! How are The Reading Divas doing now? We are marvelous! This has been a great “Reading Diva” summer. We had not previously read sci-fi or romance, as a group, so we decided to broaden our horizons by embracing those genres. Not only did we enjoy what we read, but we also agreed to continue to include these genres in our reading selections. We accepted several new members and their transition into the group has been seamless. We are now counting down the days until our October event and looking forward to ending the year with a great Holiday celebration for the club members and their families. I can't thank you enough, Sharon, for sharing The Reading Divas and The Black Authors & Readers Rock Weekend with us here. Good luck with all that you do.